We give advice on Wills and dealing with a deceased person’s estate on a daily basis. Our approach centres on providing guidance and legal services tailored to each individual. Making a Will is something we all know we should do. With family structures becoming ever more complex, and an increase in the number of cohabiting couples, having a Will in place to ensure that your family is protected in the event of your death has never been more important. Once you have a Will in place, it is important that you review your Will on a regular basis to ensure that it is up-to-date and reflects your current circumstances. Our knowledgeable team can provide sensitive and practical advice to ensure that your Will is appropriately drafted to reflect your wishes and personal circumstances. 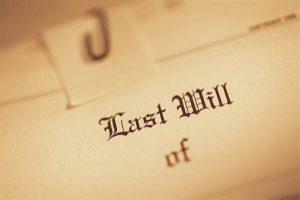 We act for executors and as executors in dealing with a deceased person’s estate. We appreciate that this is a very stressful and difficult time for families and deal with executries in a sensitive and efficient manner. We can assist you through the whole process from registering the death, arranging the funeral, valuing the estate, obtaining confirmation from the court, attending to any inheritance tax liability and thereafter to distributing the estate. Where someone has died without a Will (intestate) we can assist you dealing with the estate in accordance with the law of intestate succession, prior legal rights, family disputes and contested cases.